The Napa Valley is a famous wine producing region just north of San Francisco set amongst hundreds of wineries and beautiful, rolling hills and countryside. We took a day tour from San Fran and spent a day exploring the beautiful region, its wineries and lovely Sonoma. Our first stop was the gorgeous Madonna Estate which is located in the world-renowned Carneros region, an area known for its fertile lands and cool climate. Madonna Estate Wines have been handcrafted by the Bartolucci family, Napa Valley winegrowers and winemakers for more than eighty years. We loved that their wines are created from 100 percent organically grown grapes! In addition to practicing natural farming methods, they also combine traditional and modern winemaking techniques and are the third oldest winemaking family in the Napa Valley. Next up we continued onto the gorgeous Sutter Home Winery which is located in the heart of the Napa Valley. 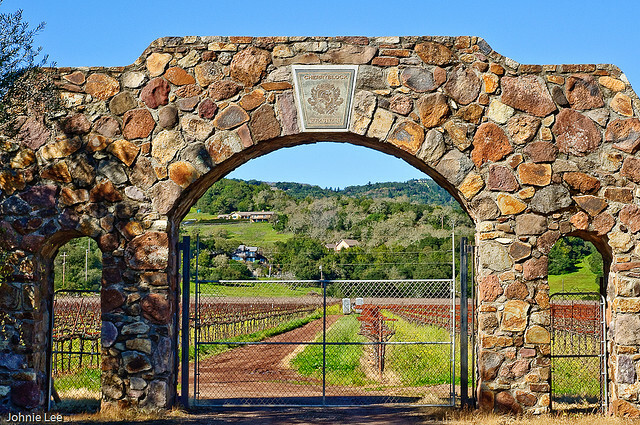 Founded in 1874, it is one of the largest family run independent wineries in the US and are particularly famous for their creation of White Zinfandel. They also have the most gorgeous gardens to stroll through after you have finished your wine tastings! It was then time for a lunch break in Sonoma. 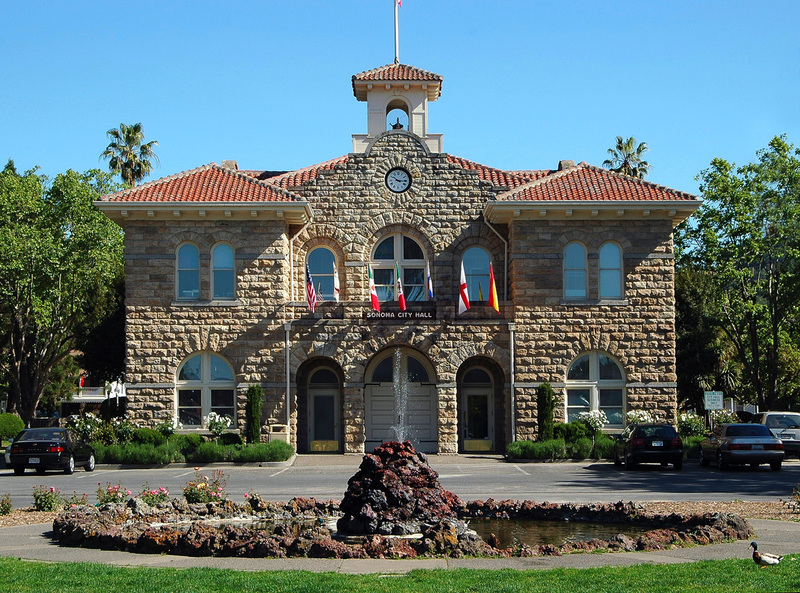 Sonoma is a gorgeous town in the heart of the Napa Valley. 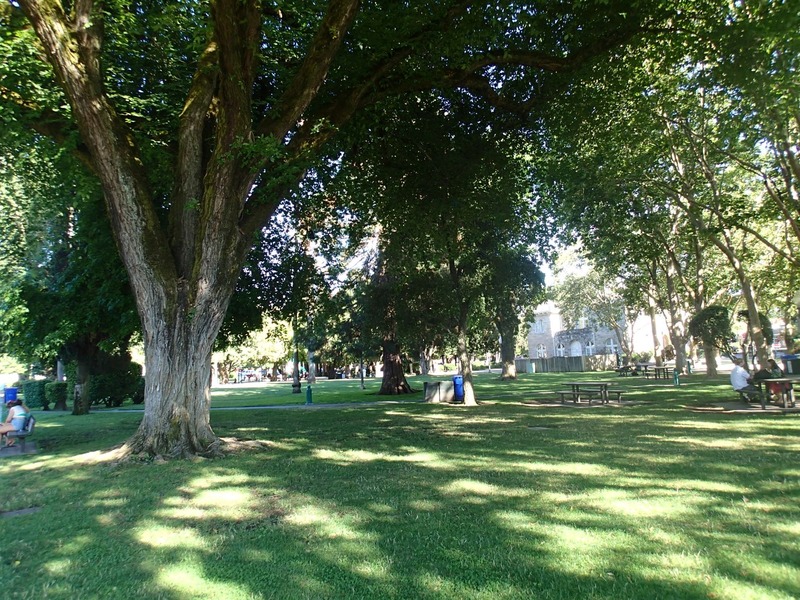 It is a wonderful town to stroll around, with a lovely historic town plaza and beautiful parks. It was such a beautiful day we decided we couldn’t bare to sit inside, so opted for a picnic in the park (with one of the biggest bottles of wine we’ve ever seen that we purchased at Sutter Home). I’m sure Sonoma will ring a bell for any fans out there of the TV show, The Bachelor? Well it is where gorgeous Bachelor Ben was from. I’m not going to lie we did spend a good deal of our time keeping our eye out for him but sadly didn’t spot him. We finished our day off by visiting Sebastiani Vineyards which are located in the heart of Sonoma Wine Country. This history winery dates all the way back to 1895 when Samuele Sebastiani first emigrated from Tuscany to the region and worked on the land to save the money to buy the vineyard! Sebastiani today is that same historic winery but now with a hopsitality centre, events rooms, an impressive barrel room with antique redwood barrels (which are HUGE) and of course daily tours & tastings. Sebastiani Vineyards are recognised as a leader in the wine industry, and are well worth a visit! We had the most wonderful day exploring the Napa Valley, it really is such a beautiful region and the wine is fantastic! Next time we come back we’ll certainly spend more time there! Have you been to the Napa Valley? What wineries would you recommend?